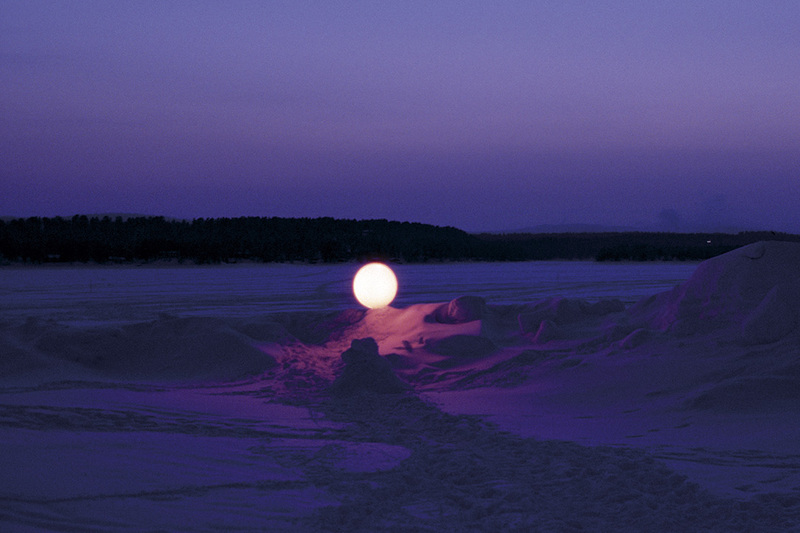 Light Object, outside the Icehotel, Jukkasjärvi, 2001. A light projection onto a satelite disc. The piece was turned on just as the sun went down behind the hills. Exhibition ‘Art On The Rocks’.